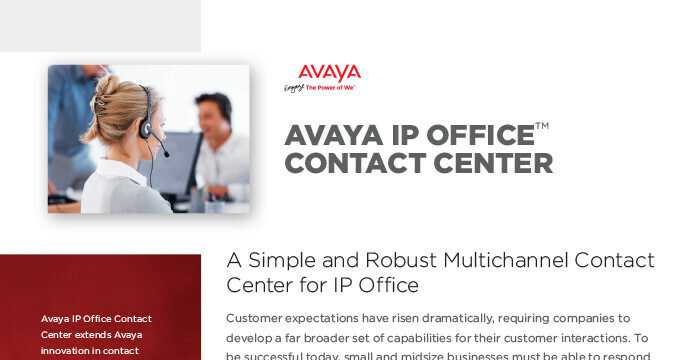 Challenge us to Reimagine your Avaya Contact Centre! What's your biggest contact centre challenge? Challenge us to reimagine your customer contact! Together, we build better experiences for your agents and customers. 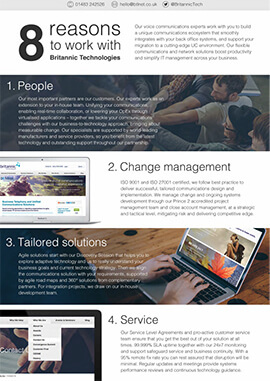 We're specialists in designing, integrating and supporting business communications platforms, helping your customer service agents to change the way they work and engage with your customers. In partnership with Avaya and other world leading vendors, we boost your customer services operation in three ways: We integrate systems and applications, automate processes and facilitate better insights. What's your biggest contact centre challenge? Tell us using the form on the right and we'll prepare a tailored basket of ideas, strategies and practical advice that we are going to share with you at Call Centre and Customer Services Summit! First, we integrate the contact centre with your CRM for a comprehensive view of individual customer histories and deeper agent intelligence. Then we tie the contact centre platform into your wider office communications infrastructure to allow fast communication flow and knowledge exchange between your agents and in-house experts. That saves time and accelerates call resolution for your customer services team. Last but not least, we enhance your platform with social, mobile, web and real-time customer service tools, helping you realise your plans to deliver a unique, coherent and personalised digital customer experience. Need inbound or outbound automation? We know both sides of the equation. Choose to automate repetitive tasks and low-touch customer interactions to free up your agents for the interactions that matter - to your customers and your bottom line. We help you mix, match and tailor your suite of reporting applications for maximum management and customer insights. You will get an accurate picture of your customer journeys and contact centre performance, be able to optimise service levels in real-time, improve management and governance, and identify training needs of individual agents. Find out why midsize businesses reimagine their customer service hubs with us! Working with Britannic has been a really positive experience. We get personalised service, quick turnaround, continuity of engineers and easy access to their team. Britannic's skill is in integrating multi-vendor systems with our Avaya solution and providing seamless migrations to our new Productions. They are ahead of the curve in their knowledge and experience, which is why we value their involvement in our strategic ICT development. How have others used our expertise? When a prestigious London-based animal welfare charity reached out for help in upping its contact centre performance, we boosted its operation with the design and deployment of an automated ticketing system, workflow management solution, email automation and CTI – all integrated with its new contact centre platform. The charity's customer services team is now free to deliver more value-added services and a consistent digital customer experience. You fill in the form. We prepare ideas, strategies and practical advice to share with you at Call Centre and Customer Services Summit.